China has something of beauty to offer for everyone who is able to visit. While the vast cities and technological feats of the modern China are easy to marvel at, some of China&apos;s most awe-inspiring features are found outside the city limits. 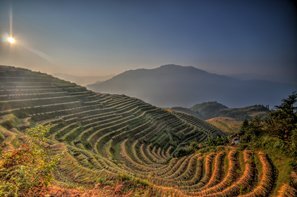 Mountains, deserts, rivers, beaches, deep canyons and fertile plains all make up China&apos;s unique and storied geography. 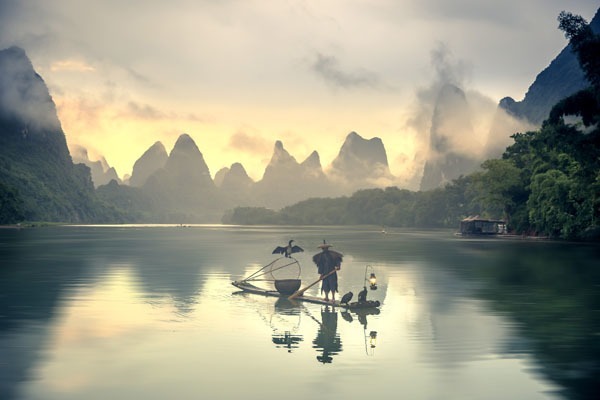 Traveling in China is a unique experience that appeals to all types of adventurers, whether you&apos;re interested in culture, food, or amazing views. 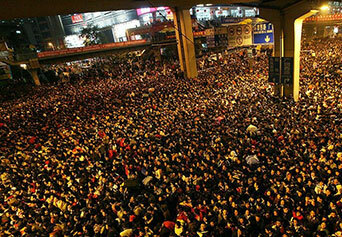 Chinese people crowding a train station during the Chinese New Year Travel Rush. With an ever growing population of over 1.3 billion people, China&apos;s human geography is nearly as staggering as its natural wonders. The top cities in China boast some of the greatest feats on engineering and city planning in the modern world. The influence this size of a population has on the overall look and development of the country is substantial. The living standard often varies greatly depending on whether you are in a rural or urban setting. While the cities continue to develop at near alarming rates to provide the highest quality of life, the rural villages and their way of life remain largely untouched by modern influence. The glittering cities of developing China are often major tourist sites due to their large populations and advanced infrastructure. As tourist in China, you can expect to be greeted with the upmost in modern convenience, as well as explore the traditional ways of life. The many national parks and protected wildlife areas within China offer a multitude of locations that travelers can interact with the wilder side of China. With a total of 225 national parks and 50 UNESCO World Heritage Sites covering thousands upon thousands of square kilometers within China, the opportunities to explore outside the major cities are boundless. China&apos;s glorious mountains are what made the Great Wall a possibility. 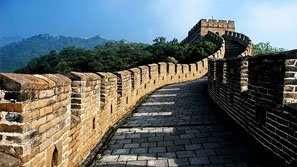 The early Chinese took advantage of mountainous terrain to build the Great Wall to protect China from northern invaders. The wall starts in western China&apos;s Gansu Province, snakes through the mountains that form Inner Mongolia&apos;s southern border and ends at the Bohai Sea in East China. Mountains also take on religious significance in China and are destinations for pilgrims and tourists alike, many of whom overnight on the mountains to see the sun rise in the morning. Mountains considered sacred to Buddhists are Wutai Shan, Emei Shan, Jihua Shan and Putuo Shan. "Shan" means mountain in Mandarin. The Yellow Mountains are significant for their cultural, religious, and natural significance. There are many Buddhist temples in these mountains, as well as the history of China&apos;s "Yellow Emperor" for whom the mountains are named. They are some of the most scenic peaks in China and draw crowds throughout the year. The Taoists also have their own sacred mountains: Wudong Shan, Longhu Shan, Qiyun Shan and Qingcheng Shan. Each geographic region has a special mountain, too: Tai Shan in the east, Hua Shan in the west, Heng Shan in the south, another Heng Shan in the west, and Song Shan in the center. The tallest mountains in the world can be found in China. The Tibetan Himalayas are home to Mount Everest, the world&apos;s highest mountain, and K2, both of which are a Mecca for climbers. See the 6 Most Beautiful Mountains in China. Desert view in Northwest China. The Gobi Desert, the world&apos;s fifth largest desert, is the most famous of the 11 deserts that span China. The Gobi experiences temperature extremes ranging from -40°C (-40°F) in the winter to 50°C (122°F) in the summer. Genghis Khan, feared leader of the Mongol Empire, is buried there and camel caravans of the Silk Road once passed through its historic sands. Silk Road caravans also passed through the Taklamakan Desert, which is known as "the desert of death" in China. That&apos;s because water is a scarce commodity in this shifting sand desert. In olden days, only the hardiest travelers made it across. 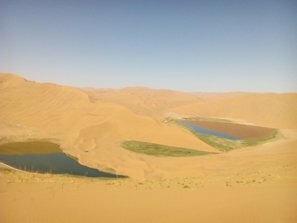 The Chinese have worked decades on reclaiming the deserts for arable farm land. One of their recent reclamation projects involves turning the desert near Ningxia into wine vineyards to rival those of France. 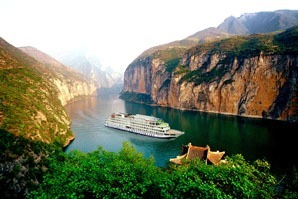 The Yangtze and Yellow rivers are famous not only in China but also around the world. They serve as major conduits for transportation, ferrying freight and agricultural crops between the coastal east and the interior. Land is very fertile on the plains the rivers pass through. Much of the nation&apos;s agricultural production occurs here. In the Yarlung Tsangpo (Yaluzhangbu) Grand Canyon, the Yarlung Tsangpo river (or Brahmaputra as it is known in India and Bangladesh) is one of the most popular rivers for adventurous tourists. The Yellow River is a river of tragedy, leaving millions of people of dead in floods throughout China&apos;s past. An estimated 1,600 floods have occurred in the last 3,000-plus years, Numerous dams have been constructed along the river&apos;s length, but sometimes floods cause the river to change course. Floods have changed the main course of the river 18 times. 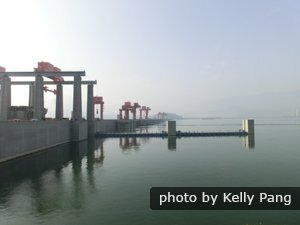 Asia&apos;s longest river, the Yangtze is best known today for being home to the world&apos;s largest hydroelectric dam, the Three Gorges Dam. The Yangtze starts in the Tibetan Highlands and ends at Shanghai. China has hundreds of rivers, some of which are more famous outside of China. This list includes the Mekong River, which starts in the Tibetan Plateau and ends in Vietnam. The Indus River also starts in the Tibetan Plateau and flows through to India and Pakistan. Because of the dam, the Three Gorges of Qutang, Wu and Xiling are probably the most famous canyons in China. Except for the dam itself, with their stunning scenery they are the most famous attractions for passengers cruising the Yangtze. In the hiking world, however, Tiger Leaping Gorge is more famous. It is one of the deepest river canyons in the world, deeper even than the Grand Canyon. 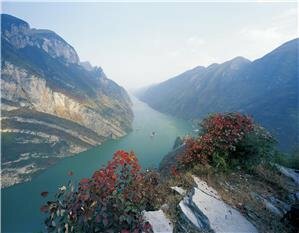 Located on the Jinsha River, a part of the Yangtze, it is popular with visitors who like to hike the nine-mile length of its rim. Within the boundaries of Tibet is one of China&apos;s best kept secrets, Yaluzhangbu Grand Canyon. The canyon&apos;s river system is often called "the Everest of rivers" and is popular with adventurous tourists for the canyon views and kayaking. The Turpan Depression or basin region in western China is the fourth lowest place on earth, after the Sea of Galilee, the Dead Sea, and Lake Assal. This basin region receives great amounts of sunlight throughout the year and sees very little rainfall. Much of western China is made up of vast plains, which offer wonderous vistas and are home to many of China&apos;s minority groups. These fertile plains offer ample farmland to the rural and agricultural basin of China. The Mongolian grasslands are home to some of China&apos;s most traditional cultures. You can visit these vast pasturelands and meet nomadic peoples who live off of the fertile soil and open landscape. The plains of China are filled with sweeping scenes of growth and rural life. Apart from the bustle of China&apos;s growing urban centers, a trip to the plains areas promises views of traditional Chinese cultures that surpass the average tourist experience and give insight into a different way of life. China is filled with many beautiful and historically significant lakes that feature prominently on tourist site recommendations. The majestic waters of West Lake near Hangzhou are some of the most famous. There are also many lakes in Tibet that hold religious significance. At Lake Namtso on the Tibetan plateau, Buddhists say that the lake&apos;s five islands are embodiments of the Five Dhyani Buddhas. Worshipers often come here to pray and appreciate the site. It is also significant for being the highest salt water lake in the world. China&apos;s most beautiful lakes are found throughout the country and make for pleasant hiking and viewing opportunities for tourists. Though you may not think of beaches as being one of China&apos;s top attractions, with 18,000 kilometers (11,000 miles) of coastline, there are many options for travelers looking to enjoy the sand and surf. The most popular beaches in China can be found in the South and on the islands that make up China&apos;s extended geography. 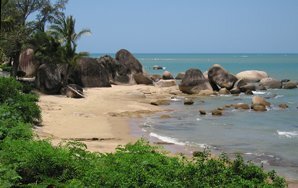 Hainan Island is the most popular beach escape for the Chinese and international tourists. The waters there are warm and clear. It has been called the Chinese Hawaii, and for good reason. Nearer Beijing, there is Beidaihe Scenic Area. This picturesque area offers some of the best bird watching and beach entertainment near to the capital. 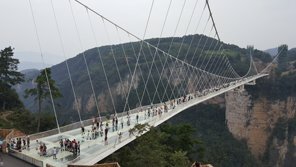 The new Zhangjiajie Glass Bridge is yet another Chinese record breaker. Let China Highlights take you on an adventure through China&apos;s most stunning landscapes and cultural vistas. Schedule (and customize) a ready-packaged trip with us today or contact us to set up a custom tour that meets your unique needs. You could plan a natural scenery tour of the famous Zhangjiajie mountains that will take you up close and personal with the wilds of China. 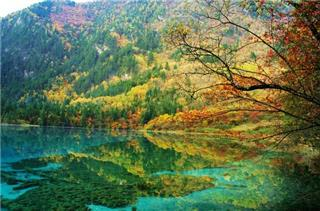 Or take a lush and vibrant tour of Jiuzhaigou&apos;s colorful valleys and experience the natural wonders of Sichuan province for yourself.